More than just same-day delivery (which would be pretty amazing in itself), the online retailer just expanded its Prime Now service — which offers one-hour delivery to Prime members — to the Union Square 21223 zip code. No word yet on grocery delivery... and no, drones are NOT involved in this service. Other select Baltimore zip codes include: 21202, 21218, 21224, 21231, 21205, 21222, 21213, 21233 (Union Square), 21230, 21206, 21203, 21214, 21211, 21251, 21201, 21223, 21225, 21226, 21217, 21219, 21237, 21229, 21227, 21216, and 21236. 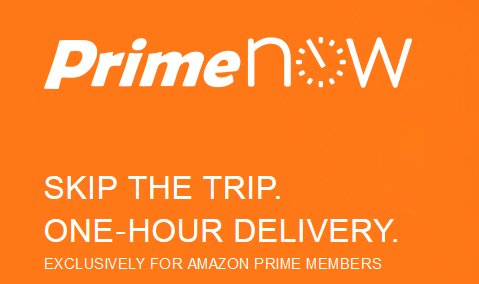 Prime Now operates from 8 a.m. to 10 p.m. seven days a week. Two-hour delivery is free to Prime customers. One-hour delivery costs $7.99.